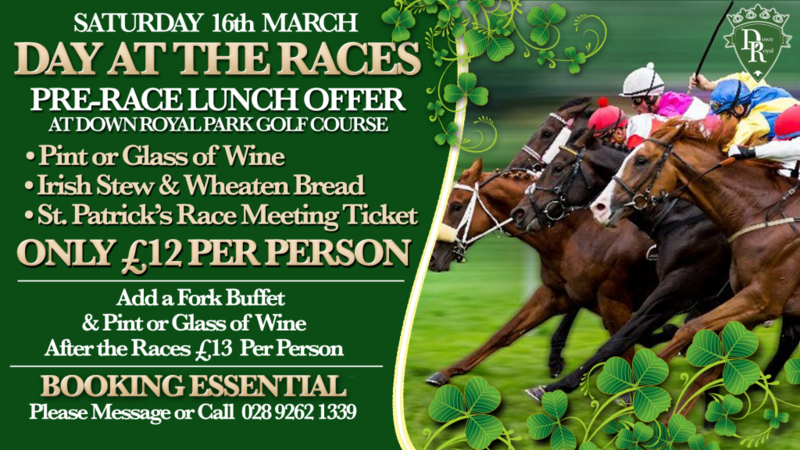 Planning a visit to the St.Patrick’s Day Race Meeting on Saturday 16th March 2019? Booking Essential. Please call us on 028 9262 1339 to arrange. After the races, we also have a Fork Buffet with a Pint or Glass of Wine, £13 per person. Please contact us to book on 028 9262 1339. Copyright © 2019 Down Royal Park All Rights Reserved.